Brands are moving away from influencers and celebrities, and more toward recognising the voices of everyday consumers. Everyday consumers who have a smaller, but engaged followings. 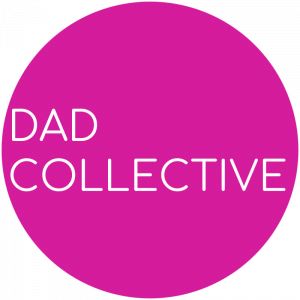 Dad Collective is TheDadsnet’s micro & nano influencer program that connects the smaller, but equally valuable, ‘dad influencers’ with brands looking to launch a product or run a campaign. If you’ve landed on this page, it’s because we have recognised the work you’re doing on social media and invited you to sign with TheDadsnet and join the Dad Collective. Well, the first thing is to have a read through the terms & conditions in the contract. It gives you all the information regarding payments etc. You may have some questions, so we’ve answered the most common ones below but send us an email with anything we haven’t covered. Yes. Dad Collective & TheDadsnet is not an agency that negotiates brand deals on your behalf meaning that you are completely free to still work with brands that you are in direct contact with. However, we have over 5 years experience in this industry. We know fee’s, t&c’s, briefs, expectations, and everything that comes with working with brands inside out. We may be able to get you a better deal. If you would like input from us, whether that’s a simple bit of advice or us to negotiate on your behalf, we’re open to that and will discuss with you on a case by case basis.